One would hope that it would be possible to escape the evil feline upon death, but fanatics are doing everything within their power to guarantee that this is not the case. 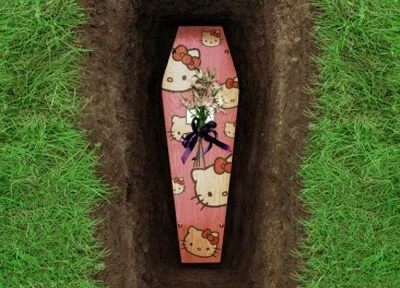 It’s a good bet that if you live with a fanatic, you’re going to end up in the ground in one of her coffins. 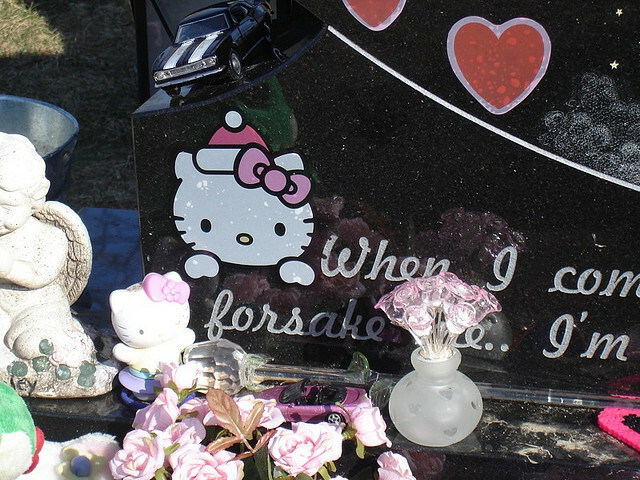 It’s an even better bet that upon that coffin you will end up with an arrangement of horrifying flowers. 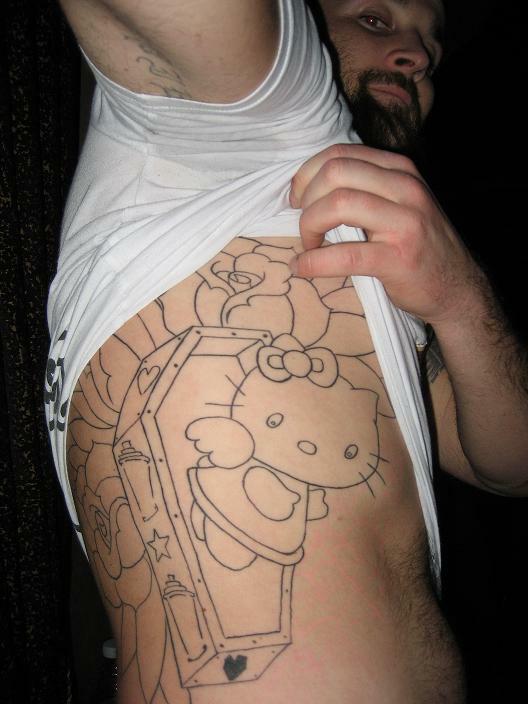 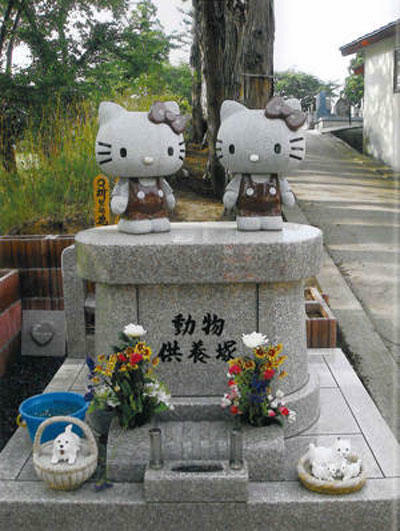 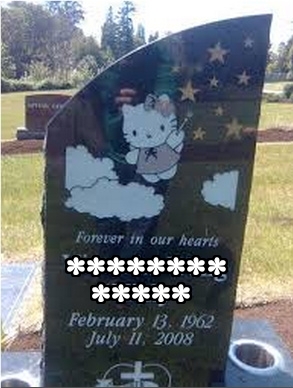 And of course, how could a fanatic ever resist placing a Hello kitty gravestone on top of your grave?